There may be a battle going on over the confirmation of Brett Kavanaugh but it is an insider Deep State battle that is more about Trump than Kavanaugh. Kavanaugh is a Deep State man. [T]he reason I don't trust Kavanaugh is he is an elitist establishment man. He is a surface level member of the Deep State. When the chips are down, like a loyal frat member, he will support his team, the Deep State. 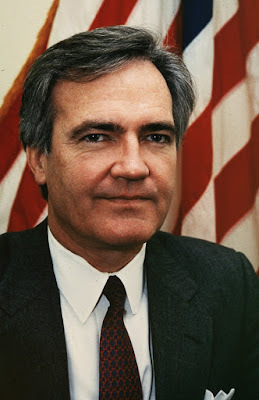 Now, the seasoned journalist Ambrose Evans-Pritchard has written an essay retelling his personal story of his interaction with Kavanaugh during the investigation into the death of Vince Foster. It is a remarkable story displaying the lengths that Kavanaugh went to protect establishment harassment of key witnesses to protect the establishment narrative of how Foster died. My sinister battle with Brett Kavanaugh over the truth - by Ambrose Evans-Pritchard is a must read. But why would the Deep State be trying to submarine the Kavanaugh confirmation (through the Ford sham) if he is their guy? They are not. The story is totally uncorroborated. This is to distract and keep both sides divided. And it works. But he will be confirmed and never expected to be in the bag for the establishment. There is no unitary Deep State - faction within faction and wheels within wheels. This also confuses some of the otherwise principled opposition into supporting him; this frat-boy douchebag is a major ally of the police state and he seems to be trending a bit favorably with some the Rockwell crowd due to the fact that he is seemingly taking such heat from the Gynomarxists. Agreed. Derailing this creep’s nomination by any means necessary is among the democrats’ few laudable actions.